Mold is the one form of property damage that sneaks up on you. Unlike fire, basement floods, natural disasters, and sewage backups, a mold infestation doesn’t often announce itself. Colonies thrive in dark corners, under sinks, and in the structures of your home or business. Sometimes the damage is done before you even realize mold is there. No matter what your unique situation is, 911 Restoration of Denver is here to help. Whether you’re worried about a suspicious spot on the ceiling, the potential for mold following water damages, or growth that you are 99% sure is toxic black mold, our expert mold removal technicians have you covered. Every mold remediation specialist is IICRC certified. They have been extensively trained in mold removal. They know where to look, how to identify even young colonies, and the proper process for removing mold without spreading an excess of spores or kicking mycotoxins into the air. Our mold remediation staff know the risks associated with mold, from carpet damages to damages to your health. They place your safety and peace of mind above all else, so you can count on them to perform thorough mold decontamination. They even repair any destroyed structures, leaving you with a property that’s not just mold free; it’s better than new. By the time your mold removal technicians drive away, you can rest assured that your mold problem is gone, your property has been made inhospitable to future growth, and you can breathe easy. It only takes one call for instant peace of mind. 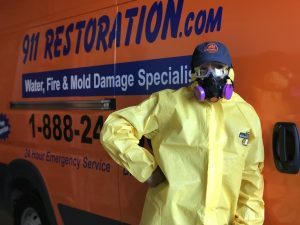 Contact 911 Restoration of Denver today for expert mold decontamination. Heavy storms in the Denver area make local properties especially vulnerable to water damage from basement flooding, ice dams, and roof leaks. And if there’s one thing mold spores love, it’s a water damage incident. Mold spores are constantly in the air around you, waiting for a place to land. It’s not a reflection on your housekeeping skills. It’s just the reality of living in the natural world. Spores enter your home through heating ducts, pet fur, even on your own skin and clothing. When they find a damp surface to cling to, all they need is 24-48 hours to start a thriving colony. 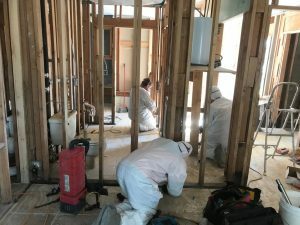 This is why 911 Restoration makes mold inspection and cleanup an integral part of their water damage restoration service. When you call 911 Restoration to repair damages after a water incident, you can count on your technicians to also conduct a thorough mold inspection and follow up with any required mold removal. If someone else has handled your water damages and you suspect you have an infestation as a result, our mold remediation staff will not only handle mold decontamination, they’ll also use professional equipment for structural drying and dehumidifying. This way, you have true peace of mind, knowing your property is mold-free and unlikely to see another infestation anytime soon. Water damages can be a headache on their own. 911 Restoration of Denver does everything possible to prevent mold damages that could add to your stress. For full-service water damage restoration and mold removal, call 911 Restoration today. There are many different kinds of mold, and the type of infestation you have determines the types of damages you can expect. For more toxic types such as black mold, the most significant damages could be to your health. Black mold releases mycotoxins into the air. These mycotoxins can then enter your body through your breath. A few mycotoxins are unlikely to do much harm, but as they build up in your system, you could face allergies, respiratory issues, unexplained dizziness, and even heart problems. The mold remediation technicians of 911 Restoration are fully educated on the various types of mold. They communicate clearly throughout the mold cleanup process so you understand the risks associated with your specific infestation. The moment they arrive, they offer a free visual inspection for property owners, so they can tell you the extent of the growth. Then they take a sample to a third-party laboratory for testing. This step ensures both you and your mold remediation workers have a scientific understanding of the problem at hand. From there, they handle mold decontamination safely, careful to prevent spores from spreading to other areas of your home or business. They also dry any damp areas they detect in the structures of your property to protect your space from future growth. A mold infestation can make a well-cared-for property feel contaminated and unclean. It’s not your fault, and expert help is standing by. 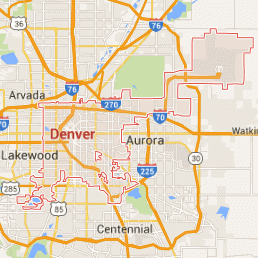 Call 911 Restoration of Denver and let our compassionate mold remediation experts give you a Fresh Start.